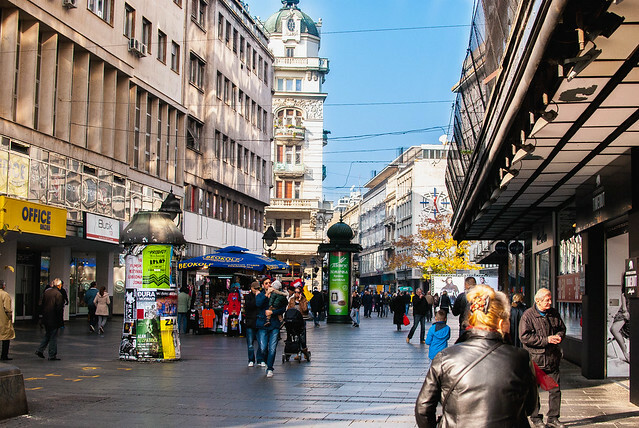 Knez Mihailova Street is the main pedestrian zone in Belgade, the main shopping street and probably top 1 place for tourists to visit while exploring Belgrade. Whether you’re here for a day or a week, this will be your meeting point and place to take a walk, drink coffee, shop for souvenirs and take off to any other place in town. 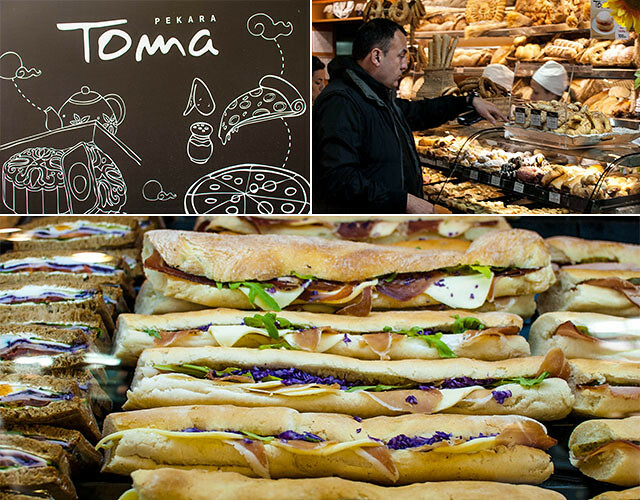 If you happen to be in Knez Mihailova Street in the morning, stop by Toma bakery for a fresh breakfast. 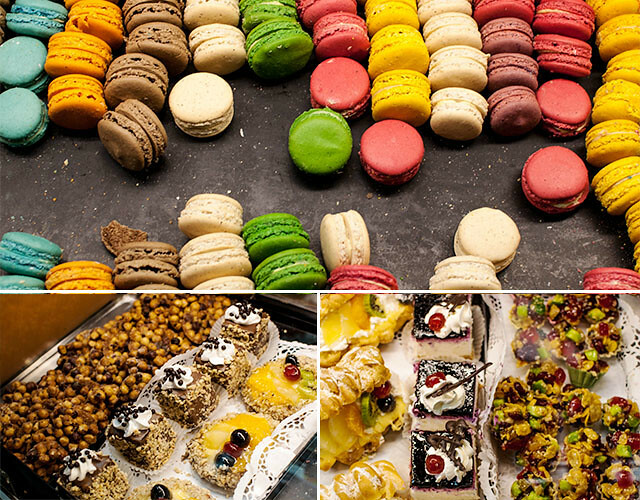 Variety of pastry, burek, proja, pita, pizza, sandwiches, cakes and sweets may even confuse you and you’ll be in trouble when choosing breakfast by your taste. So here’s a tip: if you like strong breakfast, choose burek or pita with mushrooms or potato with a glass of yoghurt. If you like your breakfast a bit lighter, try proja (pronounced: proya), also with yoghurt. Note: yoghurt in Serbia is not sweet but sour, and has flavour similar to Greek yoghurt. 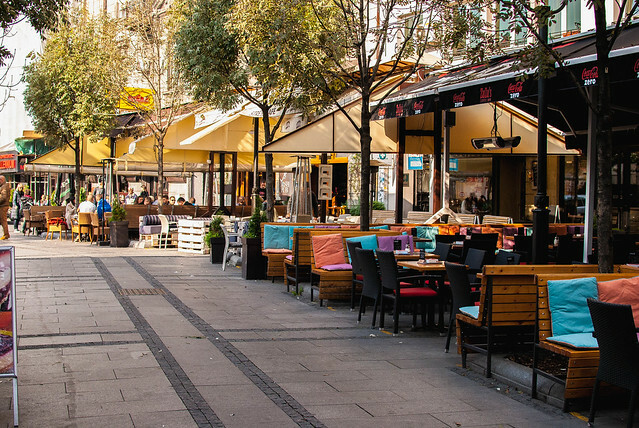 After your breakfast (or lunch, or dinner, or late night snack in Toma), you’ll enter Knez Mihailova Street. There is usually many people there in any time of the day. You’ll notice the austro-hungarian style of the architecture, and it will maybe remind you of Vienna of Vaci street in Budapest. At the end of 19th century, the richest merchant families were living in Knez Mihailova Street, so it’s always been kind of prestige part of the city. 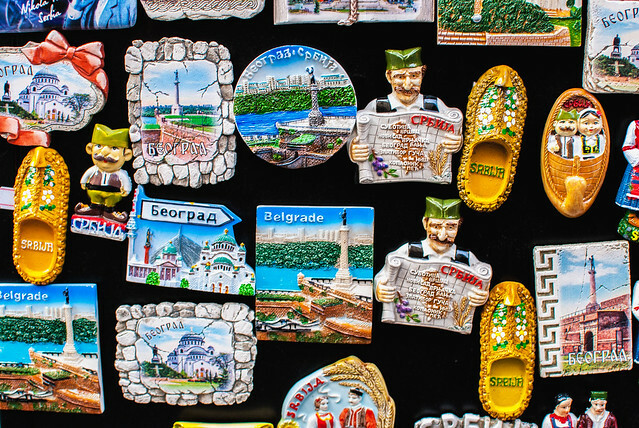 “Belgrade window” is a souvenir shop with traditional, modern, authentic and yet useful souvenirs. We suggest you buy a T-shirt, cute bottled rakija, Belgrade mugs, or some of souvenir packed sweets for your friends back home. 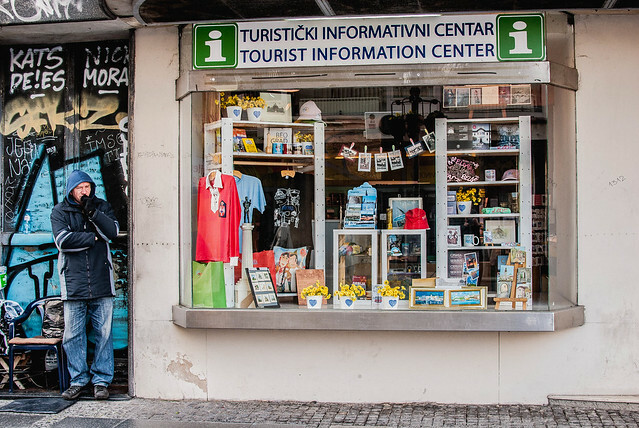 Next to Belgrade Window you’ll find Tourist Organization of Belgrade. So if you’re lost, have any question, or you just wish to get an idea of what to see next, just hop by and ask. 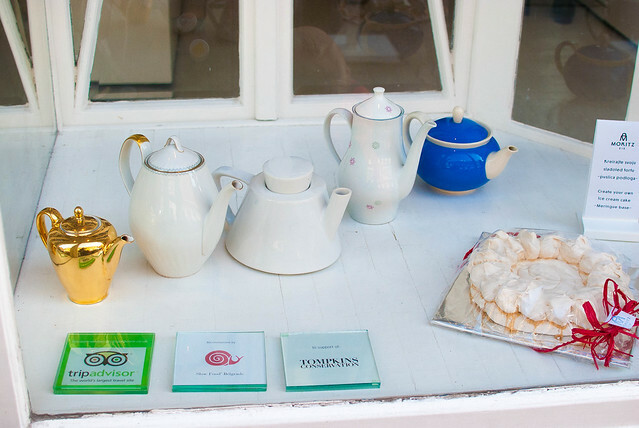 After you’ve done with a bit of souvenir shopping, it’s time to go and grab a cup of coffee. 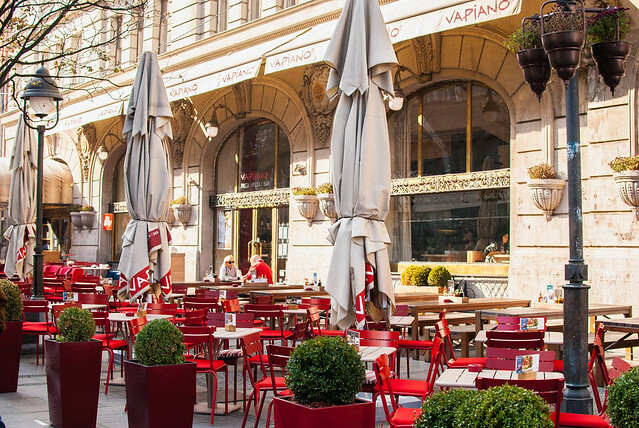 Although you will find numerous cafés and restaurants anywhere near Knez Mihailova, and in the street itself, you can turn left next to Vapiano (former Russian Tzar), and enter Obilićev venac, the street of dozens of places to drink coffee, cocktails, hot chocolate or tea. Prices of coffee in Belgrade city centre are pretty much similar to those in other parts of the city, so feel free to pick any place you like without worrying you’ll have to pay a lot of money for your coffee. Expect that you’ll pay about 120 Dinars (1€) for an espresso. 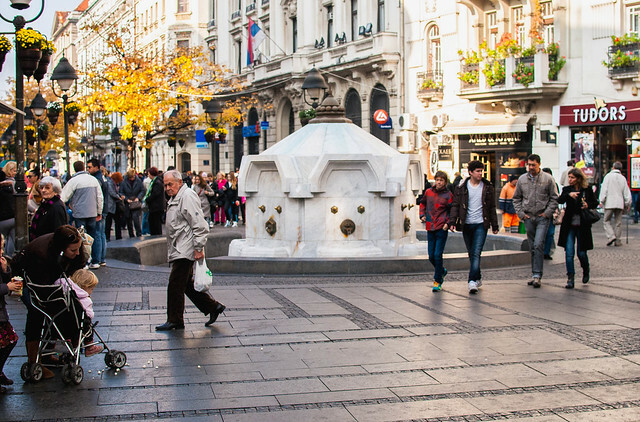 Coming back to Knez Mihailova, you will see Delijska česma. It was first built in 1843 and was used for light cavalry and their horses. Today people stop by here to drink water as it is drinkable. Usually you will see people selling old toys and comics, so if you are a collector, you’ll like this. Ice cream can be a good choice in any time of the year, so we suggest you stop by Moritz Eis for flavours like Vanilla from Madagascar, Baklava, Popcorn, Raspberry, Orange and Ginger, etc. 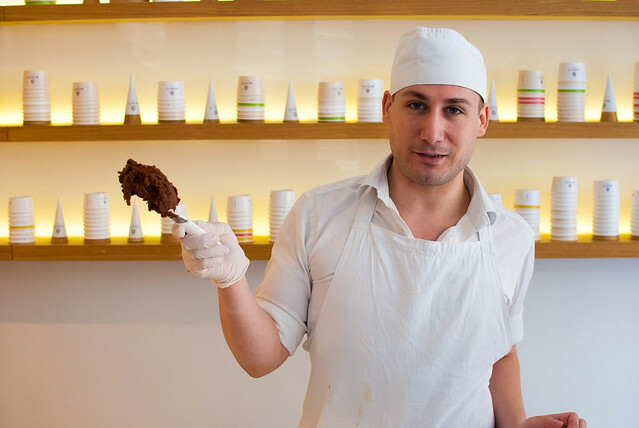 Their lovely staff will let you try all the flavours and help you choose your mix. 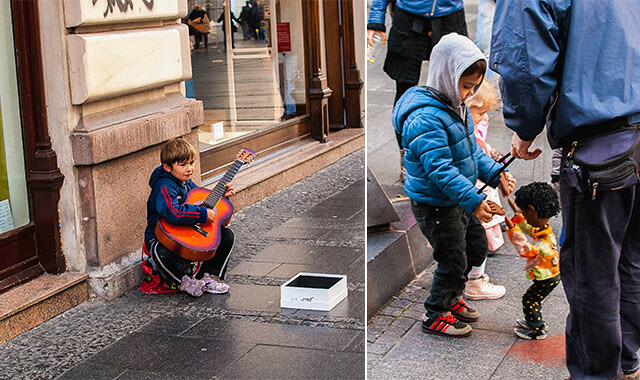 Street entertainers can touch your heart. Musicians, clowns, painters, graffiti masters will show you their skills for a couple of dinars. 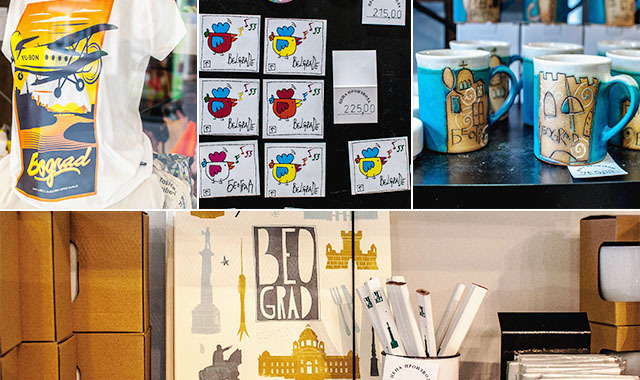 At the end of you walk trought Knez Mihailova you’ll see couple more stands with cute handmade magnets, mugs, pictures of Belgrade; before you cross street and enter Kalemegdan, you will see Belgrade’s city library.